Hello! Welcome to day 3 of Taylored Expressions January Sneak Peeks! The Creative Team is continuing sneak peeks today. All products will be released tomorrow, Thursday, January 7 @ 7 AM PST. I have a couple more cards for you today. The first one features Mermaid Kisses Stamp & Die Combo. 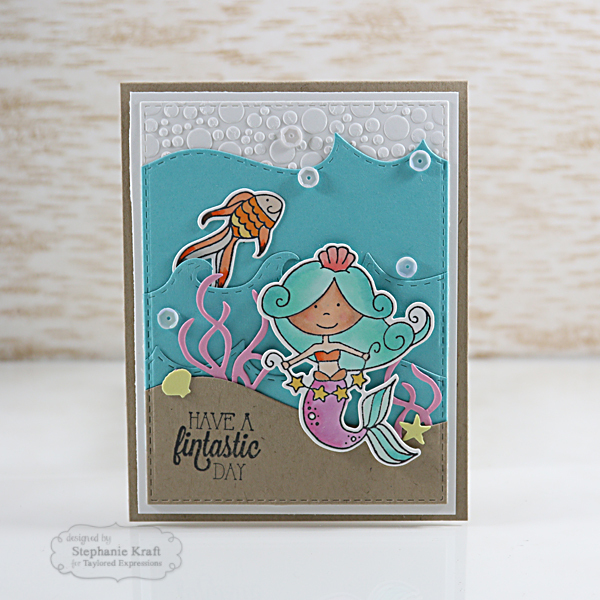 I created a little underwater scene with the help of some previously released products: Bubbles Embossing Folder, Build a Scene - Rolling Waves, Build a Scene - Rolling Hills and Build a Scene - Underwater. All of this surround my mermaid and fish (part of the new set). Next is a card using Under the Flower Stamp & Die Combo. 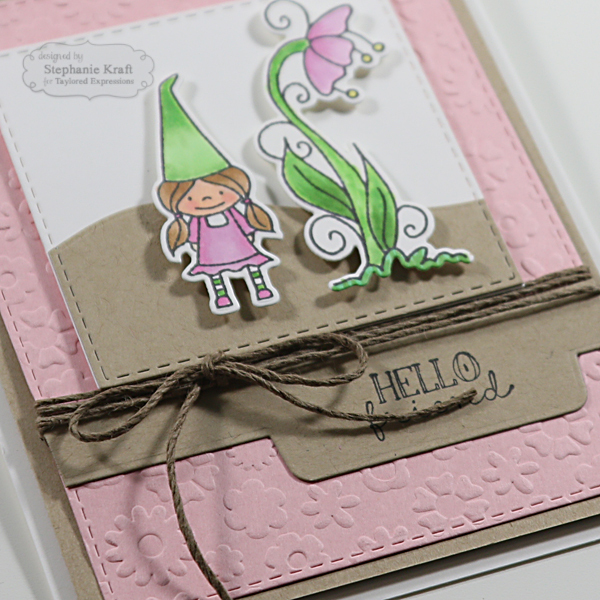 The little gnome girl and flower were colored with Copic markers and die cut with the included dies. The embossed background is the new Flower Power Embossing Folder. Products in BOLD will be available in the TE store tomorrow, Thursday, 1/7/16 @ 7 AM PST! 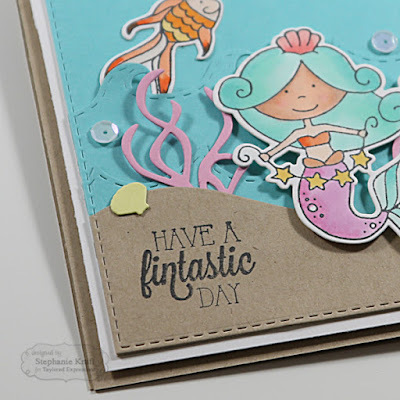 Your little underwater scene is sooo cute, Stephanie...the little mermaid is darling!! 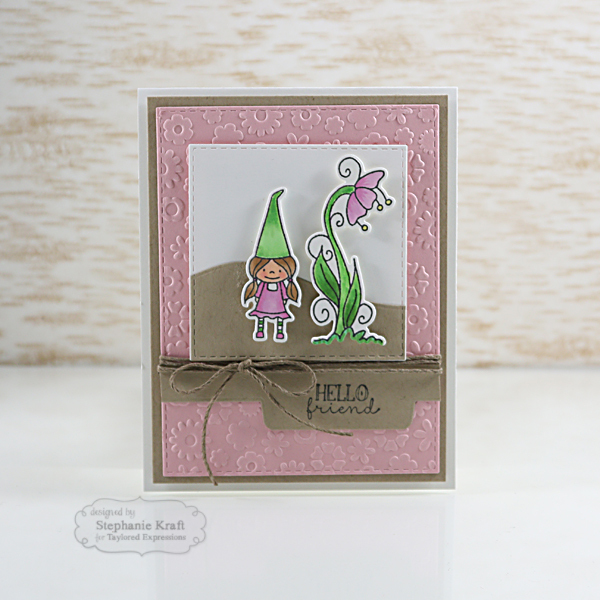 Love your second card, too, especially your pretty coloring and the Flower Power EF makes the perfect background!! !